One of the wonderful things about thrifting now that we have the internet and ebay is the opportunity to make a bit of money by re-selling. I often see things which are obviously good buys, and will be worth money to someone, even though they are not what I'm looking for. Playmobil is always a good seller, although with the popularity of ebay it is becoming harder to find in charity shops and at car boots. 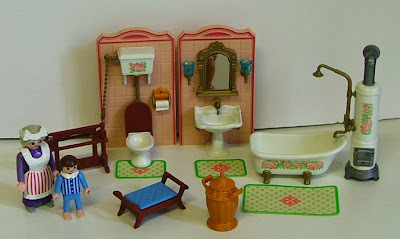 In my experience the Victorian Playmobil will always do well. 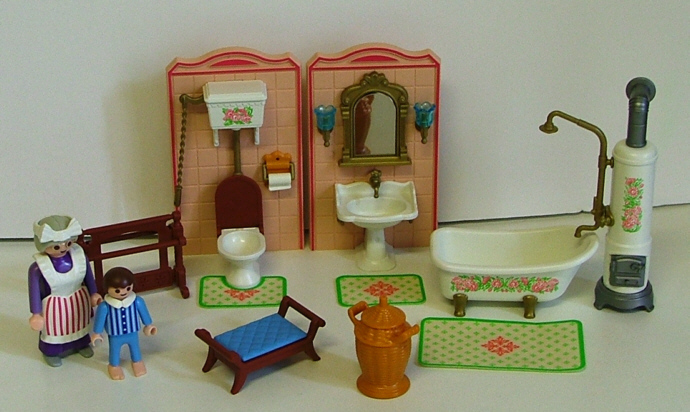 This bathroom set with figures cost me £2.00 and sold for £22.50 on ebay. 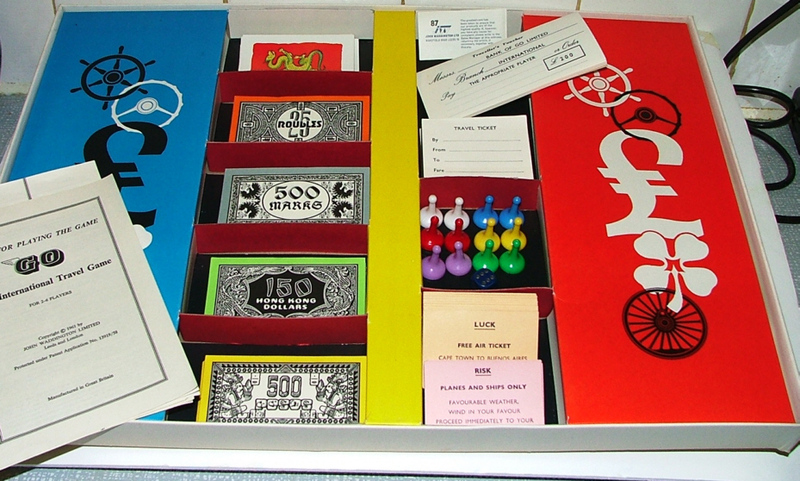 Old boardgames are another thing that I don't find so often nowadays, but I always buy them if they are attractive and reasonably priced. 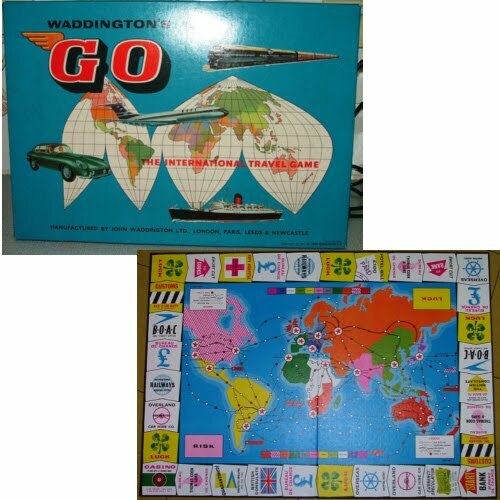 Even if they are incomplete, if the price is right I buy them for the playing pieces or artwork. This Waddington's "Go" game was in near-perfect condition, complete, and has such lovely, bright graphic-style artwork I was tempted to keep it. I actually did keep it for about 6 months, but when I moved house I had to be a bit ruthless and do some de-cluttering. I paid £2.50 for the game and sold it for £26.50. The buyer was so pleased to have found it, he was buying it for his Dad's birthday and remembered having spent hours playing it with his family as a child.